1. The verdict on the ICC and UN ad hoc tribunals as competing justice systems. Which is the winner? The ICC and UN ad hoc Tribunals both dispense international justice. However, their structures and procedures vary significantly and there is no standard model. Is one better than the other? Or do both have flaws so that there is no winner? Can we learn lessons from both so that we seek to improve the type of justice system available? 2. The verdict on 20 years of international criminal justice – national accountability for the past and international accountability for the present. 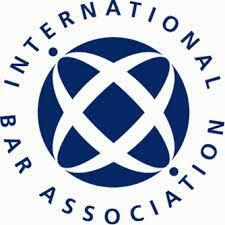 International criminal justice has developed into a cohesive legal and political force in the last 20 years. Has it caused those States that are enthusiastic supporters of international law to review their own historical acts and sufficiently account for their past acts and conduct? Is there sufficient equality in the selection of current international situations for trial such that there is true accountability for international crimes in the modern era? The ICC-Africa agenda: a legitimate check on impunity and rights abuses or crass misconception of African polity and persecution of African leaders?